Change – That six-letter word that ranks right up there with some of the four-letter words we choose not to use. I’m quite sure over the years we’ve all had occasion to say “but we’ve always done it that way.” This reminds me of a joke I heard recently: How many Episcopalians does it take to change a light bulb? Ten. One, the Junior Warden, to actually change the bulb while the other nine affirm: “But we’ve always liked that old bulb.” Amusing, yes, but often true if we listen closely to our Vestry and leadership meetings. And, let me be clear, I’m not pointing a finger at someone else; I’m just as guilty. I don’t like change! Maybe it’s our Episcopal desire to do everything “decently and in order” that makes us somewhat reluctant to try new things that just might fail. Or maybe it’s that sturdy old leg of tradition on our “three-legged stool.” Or, perhaps we need the feeling of stability and security that comes from holding on to the old ways – and this is nothing to apologize about. We live in such a turbulent and unstable time that, at least for me, hanging on to something tried-and-true feels good. For me, I’ve found the best way to deal with change is to participate in the work. We are all a part of this Church and its work through our baptism so we need to share our thoughts and labors to build God’s kingdom. The Taskforce has begun the work; it’s time for all of us to join in and take ownership of our future. I’m reminded of a comment the Rev. 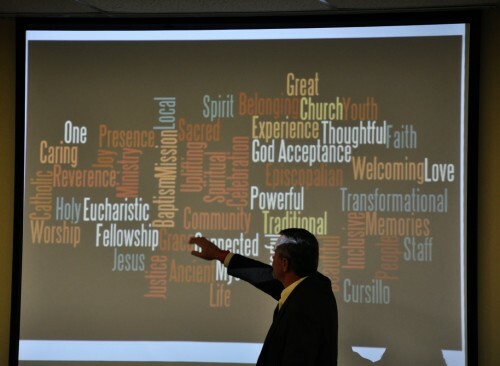 Deon Johnson shared at one Diocesan Council meeting. In a discussion of the challenges of change, he asked if we don’t like change, will we like irrelevance any better? For life to go on, there must be change otherwise things die. For The Church to be relevant for the future, we, too, must adapt. 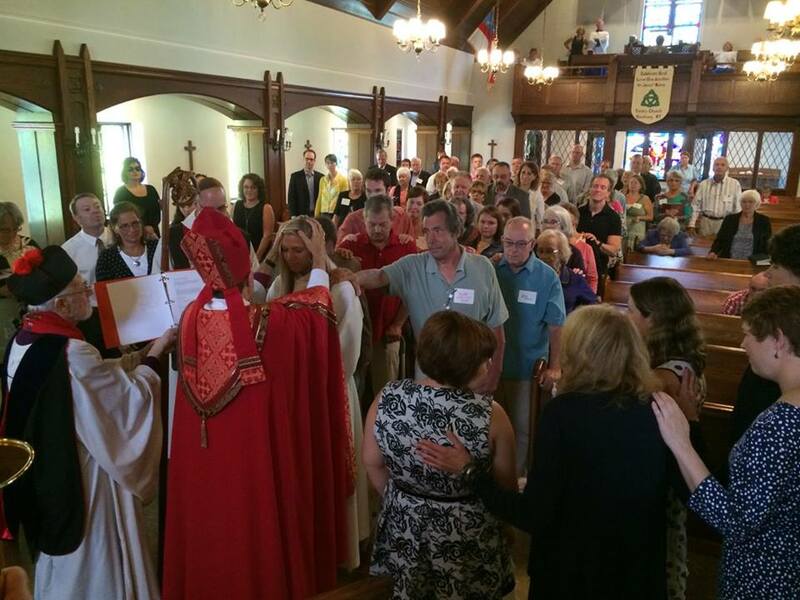 I noted an image that was posted on The Episcopal Church’s Facebook page this morning of a Confirmation Service at Trinity Episcopal Church in Hamburg, NY, where Bishop R. William Franklin invited the whole congregation to join in the laying on of hands as a reminder that we are all united in one community in Christ. Just as the congregation of Trinity Church expressed their united ministry together, let us join with our brothers and sisters around The Episcopal Church to be open to the challenges of change as we support the work of the Taskforce.